When the NeoNickel name is mentioned in discussions between aviation industry personnel, there is no need to go into huge amounts of details about testimonials, word of mouth recommendations and similar forms of endorsements – it is simply a question of looking through the NeoNickel list of satisfied customers. 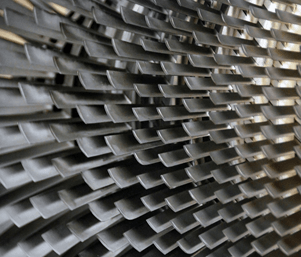 Boeing, Rolls Royce, Airbus, GE Aviation, Cessna, Pratt & Whitney and Vought are all major players in the industry, and they have all taken advantage of NeoNickel products and alloys in the recent past. As a registered ISO 9001:2000/AS9100 REV C company, we have a huge responsibility to not only supply and deal in a range of metals, but to also store and develop a colossal amount of technical data. Specialists in the Aerospace industry. As we consider ourselves to be specialists in this market sector, this technical data runs at the very heart of everything that we do. We use this vital information to provide expert advice that allows our customers to source the most useful materials for their specific needs. When clients deal with us, they are not only getting a regular vendor of alloys and metals – they are gaining the unique insights that NeoNickel have perfected after many years in this business. GE, Nadcap, Rolls-Royce and Pratt & Whitney have approved NeoNickel for a number of special processes, and this is a clear demonstration of our trusted and respected position in the aerospace sector. The NeoNickel team of sales professionals are able to call upon the expertise of skilled technicians and engineers at any time, and this enables every client interaction to be carried out effectively – all services are vigorously monitored to ensure that they are all ‘fit for purpose.’ Our loyal customers enjoy the opportunity to speak to those who work on the front line of our engineering and fabrication processes, and these include those who operate the very water jets, lasers, high definition plasmas and saws that fulfil every client order to absolute perfection. 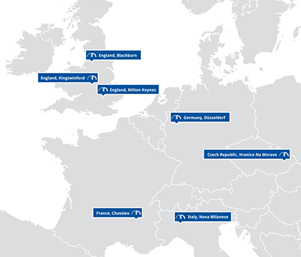 We are located in the United Kingdom, the Czech Republic, France, Germany and Italy, and this spread of locations allows us to provide our services to customers all over the European Continent. Having a large European inventory is something that we have developed over a number of years, and our customers benefit from an extensive logistical network of our sites every single day. Commercial and private jet companies trust NeoNickel to supply the finest alloys, and they also demand a wide variety of processing and manufacturing services – this means that we have made great efforts to operate a number of sites that are all capable of fulfilling orders within the same location. By operating in this efficient manner, NeoNickel has become well-known for its reputation of being able to handle any scale of order.